A look at the research and improvements made by OSAA, coaches and athletic directors. 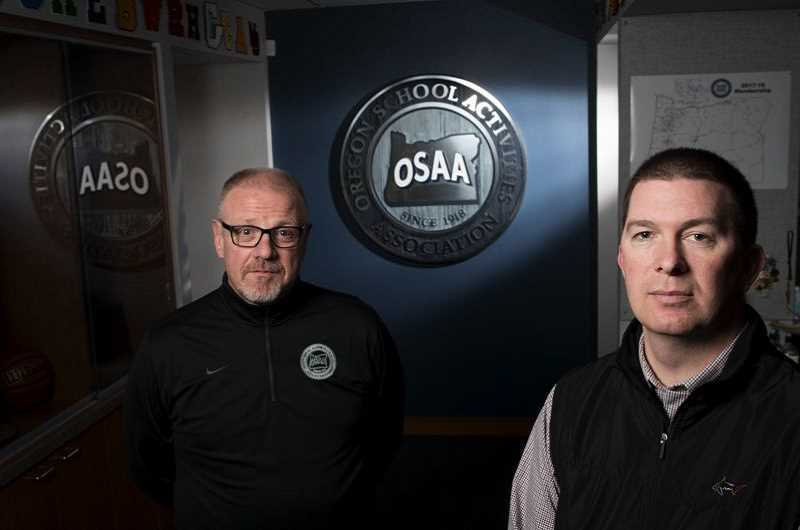 When it comes to keeping high school athletes safe in Oregon, many parents and students may think of the folks on the front line: athletic directors, coaches and trainers. What they may not realize is that behind the scenes, a nonprofit group plays a big role. Brad Garrett: I think 2008 was really a watershed moment for a lot of coaches and athletic directors, not only in Oregon, but around the country. We started to learn more, specifically about concussions in general. That is when education efforts really started to come to the forefront about recognizing signs, symptoms and behaviors related to a concussed athlete and what are the appropriate steps to take from that point. I know for myself, that's when it really struck me as, 'Hey, this is something that we need to further investigate, know more about and really stay on course with.' Because obviously our first goal in the OSAA office has always been to protect the health and safety of kids. Weber: Part of that depends on what the policy is and really what the will of the membership is at that point. And we do have situations where we do have the hammer in some areas and others where I think our attempt has been, as you said, to put best practices out there for schools and communities to be aware of, provide them resources, and work with groups like our sports medicine advisory committee, made up of doctors and athletic trainers from around the state. If it comes to the point where we feel like we need to make requirements, we do have requirements in some areas. Garrett: Obviously the sport of football gets highlighted in these conversations. It is a contact sport. We know that concussion does occur there. We were the first state in the country to require that every single coach, paid or volunteer football coach, is Heads Up Football-certified. Heads Up certification (Heads Up guidelines for football were developed by USA Football) means that you've taken a series of courses, essentially proper tackling, blocking, equipment fitting, heat and hydration, and concussion. You gotta take those five courses. Garrett: Every school has to have a player safety coach. That player safety coach is responsible to make sure the Heads Up program is being implemented correctly at all levels of play in a school. Part of the program is to bring parents in. We show them, 'Hey, these are correct techniques that your son or daughter should be using.' So, if Johnny gets ejected on Friday night for a helmet-to-helmet contact, the parents now understand why that occurred. Weber: I think there's a tremendous number of benefits. Just from a personal standpoint, a lot of who I am today as a person and the role that I play in the organization is because of the experiences in my life growing up and participating in activities and athletics. There are many studies out there that show that students who participate in activities, no matter what the activity is, do better in school, have better attendance rates, are more likely to graduate. We believe that participation in those activities sets students on a path to success in their life, whatever that is for them. It provides them that opportunity to work with team members, with coaches, with people from other teams, the officials. How to face adversity. It teaches them resilience, grit and those aren't always things that can be taught in a classroom.